Barker provides adoption home study and placement services in Maryland, Virginia, and Washington, D.C. for children seven years old and younger. If you are a U.S. citizen and reside anywhere in the United States, we can assist you with the adoption of a child through one of our international programs while you work with another agency that is licensed in your state to complete your home study. If you live in Maryland, Virginia, or Washington, D.C., and wish to adopt a child from a country other than China, Colombia, India, or South Korea, Barker can complete your home study and post-placement supervision. Prospective adoptive parents considering an international adoption are encouraged to attend one of Barker’s general adoption information meetings to get to know our staff and the services we provide. Click to view Barker's Event Calendar to register for an upcoming session. If you do not live near or are unable to travel to the Washington, D.C., metropolitan area for the information meeting, you are always welcome to call Barker to discuss international adoption services. If after attending a Barker information meeting or speaking with a Barker staff member you decide that Barker is a good fit for your international adoption plans, the next step is to submit an application. Children who generally are in good health. The quality of health care and the availability of information vary widely depending on the particular country and/or institution. Families receive a medical report on their child that explains the child’s known health condition. Children with known medical conditions ranging from mild and/or correctible to more severe needs. Their reports may include information about additional testing done to provide more information about their medical needs. All prospective adoptive parents participate in an application interview, which is both clinical and administrative in nature. During that meeting, Barker staff will explore the prospective adoptive parents’ motivation and initial preparedness to adopt and will share information about our comprehensive process, the needs of the children, and the paperwork requirements for the home study and/or placement services. 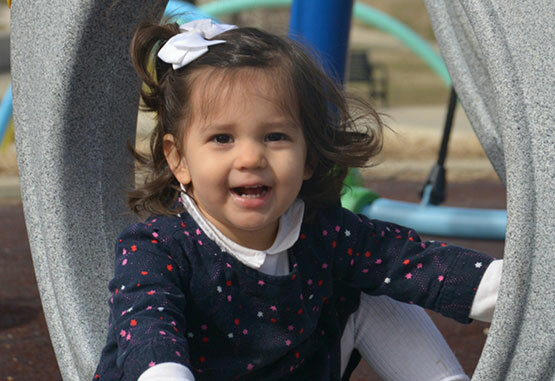 For details on adoptive parent eligibility, the adoption process, considerations, fees, and more, please view the international adoption information packet on our Choosing A Program page. Though there are many children who are waiting for families, the wait time to adopt a child can be lengthy and varies by country. Please see the detailed information about individual country programs to get a sense of how long the average wait might be when you begin the adoption process. Because the wait can be an anxious time, Barker staff members are available to offer you support and information. Waiting Parents Meetings also are helpful and provide support, resources, and the opportunity to meet other prospective adoptive families during the waiting period. These meetings are held approximately every six weeks and focus on topics of interest to adoptive families. Often there are guest speakers, including legal and medical professionals, early intervention specialists, and adoptive families who share their experience and information about their journey in adopting their children. 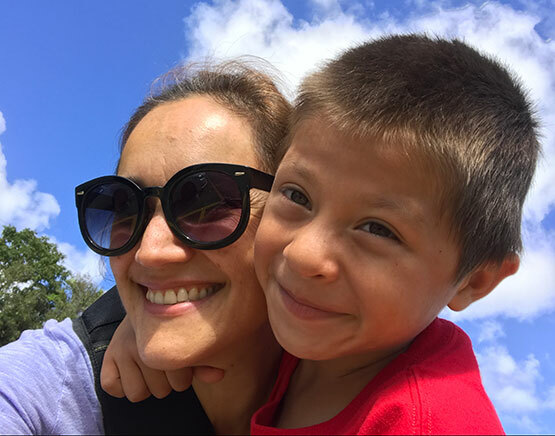 With guidance, advice, and assistance from Barker staff, parents adopting internationally travel abroad to meet and welcome home their child. While in country, families are assisted by Barker staff, staff from our partner agency, or Barker-arranged guides or translators. Traveling to their child’s birth country to complete the adoption gives parents a valuable opportunity to see and experience the place that has been their child's home and to begin to further develop an appreciation for their child's heritage. The number and length of trips required varies by country program. 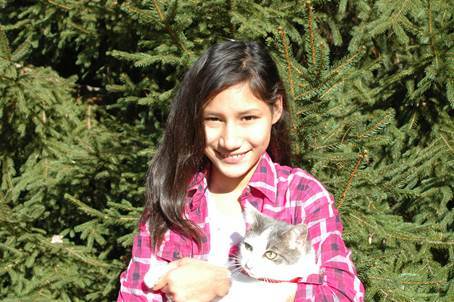 Barker continues to support each adoptive family after they arrive home with their child. Immediately on return and for at least the following 12 months, a Barker social worker spends time with each family, providing support, assistance, and information during this critical transition and bonding period. Also, during this post-placement period, each family provides Barker with medical updates and progress reports. Additional visits may occur because of specific country requirements and the needs of the child and family. Barker’s highly attended and respected new-parent support groups and workshops also are available as a form of additional support to new adoptive families. After the formal post-placement period ends, Barker invites families to continue to engage with the wider Barker community. Local families are invited to take advantage of educational and social activities with other adoptive parents and their children. It is particularly valuable for children to have contact with other children adopted from the same country. For families who live outside the immediate area, Barker can help find similar support that is local to them. Barker also provides support groups for all adoptive families and their children and offers opportunities for social interaction, including an annual family picnic. Click to learn more about the support groups. For Families Adopting Through Barker International Programs Who Live Outside Virginia, Maryland, and Washington, D.C. Although licensed in Maryland, Virginia, and Washington, D.C., The Barker Adoption Foundation is authorized to work with prospective adoptive families living anywhere in the United States for placement services (those living in Maryland, Virginia, and Washington, D.C., also are eligible for home study and post-placement supervision services). 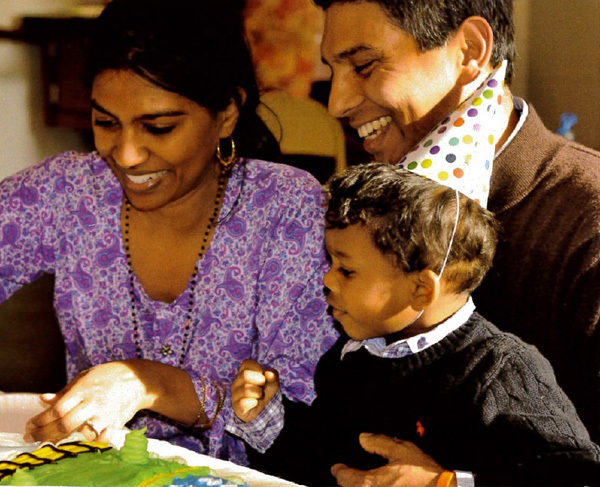 Barker’s programs in China, Colombia, and India offer families in any state the opportunity to adopt through Barker. 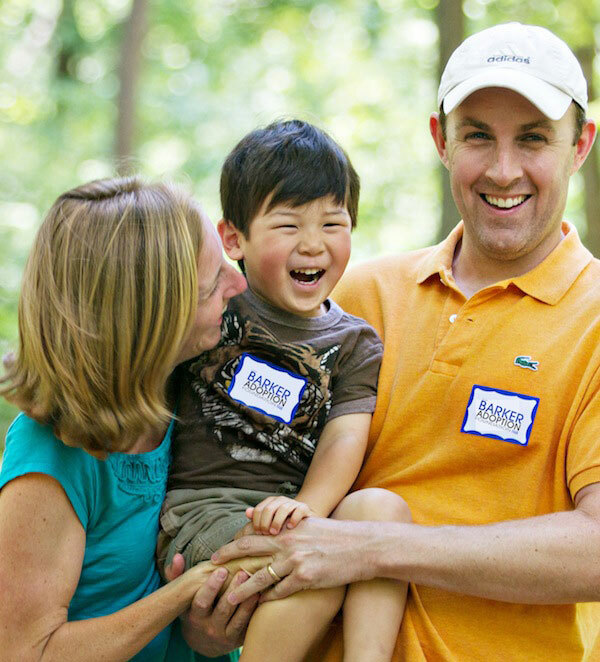 For Barker’s South Korea program, we can work with prospective adoptive families who live in North Carolina in addition to those from Maryland, Virginia, and Washington, D.C., including the home study and post-placement supervision services. Contact the international program staff at Barker at 301-664-9664 or info@barkerfoundation.org to learn more about our international programs. We are happy to discuss any questions you have as you consider which adoption program is right for you. Submit an application to The Barker Adoption Foundation. Barker can help identify a nonprofit home study agency in your area that can provide you the Hague-required local services. Barker networks with many out-of-area U.S. agencies and also is willing to start new networking partnerships with other agencies. When identifying a local agency in your state, please note that Barker works only with Hague-accredited or in some cases Council on Accreditation (COA)-accredited licensed agencies. Your local agency takes responsibility for adoption education and training to meet the Hague accreditation, country-specific requirements, and Barker’s requirements for home study preparation, the paperwork required by the U.S. Citizenship and Immigration Services (USCIS), and the required post-placement services for your family after you bring your child home. Barker’s fee for networking services for out-of-area families covers coordination by Barker international program staff with your local agency, the cost of overseas representatives and the support of our international partners, guidance with dossier preparation, and ongoing support to families throughout the adoption process. Although you do not live in our local area of Maryland, Virginia, or Washington, D.C., we feel it is important to get to know you so that we can offer support throughout the process. For Families in Virginia, Maryland, and Washington, D.C. The Barker Adoption Foundation has direct adoption programs in China, Colombia, India, and South Korea and provides comprehensive adoption services to families adopting children who are from those countries. Barker also offers specific local services to families living in Maryland, Virginia, and Washington, D.C., who hope to adopt from a country where Barker does NOT have a direct program. Prospective adoptive families requesting only local services from Barker will identify a licensed, Hague-accredited agency as the child-placing agency that has a direct program in the specific country. Barker does not provide local services for international adoptions that do not have a placement agency involved (for example, independent or private adoptions). A variety of educational and support services available during the adoption process and post-adoption, ranging from waiting-parent support groups to parenting workshops, to the Barker Annual Adoption and Foster Care Conference and beyond. Barker believes in the importance of providing support and guidance to our families throughout their adoption journey, whether you are adopting through our direct programs or working with another agency for placement. As your local agency, we will ensure that you have the assistance you need with your adoption plans, provided by our knowledgeable, well-trained staff. Identify a Hague-accredited agency that has a direct program in the chosen country, and learn about the program and the application, referral, and placement processes. Contact the international program staff at Barker at 301-664-9664 to discuss the local services that Barker provides and how we can meet your needs. Attend a general information meeting at Barker to learn about the agency and its services and to meet the staff. Submit an adoption application to Barker. Your application is reviewed, and then an application interview is scheduled with international program staff. At this meeting, you receive all the paperwork needed to complete the home study. Provide contact information for the adoption agency you have chosen as your placing agency so that Barker staff may coordinate with them on requirements for the country and the agency. Complete the pre-adoption training requirements. If your placing agency requires that additional courses or training be completed, then we can include this in your training process. Once your home study and training have been completed, we send your home study to you and to your placing agency. Barker completes home study updates as needed during the waiting period based on U.S. Citizenship and Immigration Services (USCIS), country, and state requirements. Once your child is home, we complete the required post-placement supervisory visits. These visits enable us to assist you and your child as you settle into becoming a family. The number of visits required depends on the country’s requirements as well as your placing agency and Barker’s criteria. Barker provides lifelong post-adoption services to you and your child. We are available to you for counseling or guidance. Barker also offers a wide array of workshops and events and an annual conference to help keep you connected to other adoptive families and give you the most up-to-date information on adoption. At The Barker Adoption Foundation, we believe in the value of education for our families throughout the adoption process. This includes the pre-adoption training, on-line courses, workshops, conferences, waiting parents’ meetings, and literature, all designed to increase your knowledge of adoption-related issues. Our role in your adoption process is to help you prepare to become an adoptive parent. This training is designed to help prospective adoptive parents think about both the rewards and challenges of adoption and the lifelong adoption issues that are involved. Through the leaders’ presentations, discussions, group exercises, and readings, and the voices of “real people” in the adoption circle, we look at the perspectives of adopted children, birth parents, and adoptive parents. Other topics covered include loss and grief, attachment, transracial adoption, and the telling of the adoption story. This group training provides a forum for you to discuss your hopes, questions, and concerns. The group also offers a wonderful opportunity to meet others with similar interests and concerns. Our goal is to help people make informed decisions about adoption and to feel better prepared as they become parents. To find an upcoming session, please visit the Barker Events Calendar. As part of Barker’s support to families while they are waiting, we offer bimonthly waiting-parents meetings. These meetings provide families the opportunity to meet other prospective parents planning to adopt internationally and talk to the international program staff for updates on the country programs. Barker also invites guest speakers to present specialized information to families at these meetings on a variety of topics, including the developmental stages of toddlers, early intervention services, advocacy for your child in school, issues for a transracial/transcultural family, the legal aspects of international adoption, adoption of a child with special needs, and medical issues in international adoption. In addition to the waiting-parents meetings and the monthly program updates we provide to families, we also encourage families to take advantage of the many workshops Barker has throughout the year and to attend our one-day Barker's Annual Adoption & Foster Care Conference. Also, many parents find it helpful to read books about adoption, not only for greater insights into the process but also to further prepare for what’s to come. Barker offers a long list of adoption-related book recommendations, but you can also work with staff to direct you toward readings on specific topics. To find out more, or register for upcoming training, please see the Barker Events Calendar. How do adopted children typically adapt to their new homes in the United States? The great majority of children adopted from abroad thrive once they are in nurturing families. Lacking the early benefit of loving parents, the children usually have developmental delays at placement. This is particularly true of children who have been in institutions. Even good institutions cannot provide the nurturing that young children need. Newly adopted children may also show signs of depression or have adjustment problems; these are usually mild and short-lived but sometimes serious and long term. The child's temperament, life experience, and age, along with the adoptive parents' temperament, adaptability, and sensitivity, all play a role in the ever-changing fabric of a child's development. What qualities best serve adoptive parents? For over 70 years, Barker has been bringing together people who want to be parents with children from abroad who need loving and permanent homes. Experience tells us that families who thrive are most likely to be ones in which the parents are open and accepting, people who can, without preconceived expectations, take pleasure in the miracle of watching a child grow and develop. People adopting from overseas will, in most cases, become minority families. Thus a family's openness to other cultures and races and interest in honestly educating their child about culture and race are important. What kind of information will adoptive parents receive? Barker tries to provide prospective parents with as much information as possible about the child they may adopt. The amount of information available varies widely depending on the country and the particular situation. After a child is referred, we help you understand the information provided and put you in touch with professionals who may be able to further assist you. If there is an extended period between referral of a child and the time the family travels, the agency gets updated information on the child, which may include medical reports and pictures. Barker is committed to its families throughout the adoption process and for as long as families choose to participate in the wide variety of educational and support services it offers. Wait times vary from country to country. In some countries, the major part of the wait elapses before the child is identified. In others, it comes after the child is identified. We can tell you how long waits have been in the past, and sometimes that is predictive of what they will be in the future. The Barker staff do our very best to keep the process moving and communicate with and guide families along the way. Will I/we need to travel abroad to bring our child home? Most countries require that parents travel, and Barker always recommends it. Traveling gives the parents a unique opportunity to see their child's birth environment and to begin to develop an appreciation for their child's heritage and culture. Few families who adopt internationally are world travelers. This is simply the beginning of the stretching that people do when they become parents. Moreover, the story of the trip to bring them home has endless fascination for children. In all of our programs, there is excellent support and guidance for the trip. Staff pass along recommendations from other families about where to stay, and an adoption professional or guide meets parents in the country to help them through the process specific to that country. The length of the stay in the country varies depending on the legal procedure followed there. Typically, a stay is one to three weeks. What are the risks in the international adoption process? There are inevitable risks in any adoption. A basic understanding of the risks and complexities of international adoption before deciding to adopt in the long run makes it less stressful. In this respect, adoption is like all other major life events. Information about a child can be incomplete or simply wrong. Governments can change their requirements or procedures without notice, and costs and time frames for placement can change. Parents need to be flexible because so much is outside of their control and outside the agency’s control. Our first goal is to reduce risks whenever and wherever we can by working with sources whom we understand to be reputable. Our second goal is to forge productive, collaborative relationships with prospective parents, which enables us to work through problems if and when they should arise.